Widely regarded as one of South Africa’s largest informal settlements. Orange Farm is located on the outskirts of the southern part of Johannesburg. The township is neighbouring Lenasia, Eldorado Park, and Ennerdale. According to, http://www.alhdc.org.za, “ Prior to 1989, Orange Farm, was used as a citrus farm.”This is an area that was given back to people of colour in 1988. This as a result of a court case which saw the well-known resident affectionately known as Mom Olga spoke her truth and eventually won the right to occupy Orange Farm settlement. 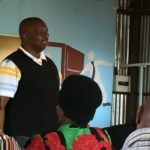 The area has recently been under the radar of the government’s’ attention as all residents who don’t have title deeds are at risk of getting evicted. Its resourceful resident has built homes, schools, and business establishments, but stand to risk being evicted because they do not comply with the ownership laws. When Mom Olga relayed her story she, recalls a time were residents were on a 24-hour monitoring schedule from the then military because according to the law they contravened on the illegal squatting act. Hurt by the recent happenings Mom Olga said the area is said to be at a risk of getting auctioned off because the residents don’t have Title deeds papers that state they own the land and automatically ownership of the property is said to be owned by the Joburg Property Company who the legal right to do as they wish with the land,” she added. Mom Olga, an activist, previously owned two schools that have produced professionals ranging from teachers, doctors, nurses, etc. However, the fact that she doesn’t have ownership of the land that the schools are operating within, the schools were seized by the department of education, and she didn’t get any compensation for the work she has done, she said. In the early years when people started settling in Orange Farm, the area consisted of a collection of informal settlements which can be characterised as a mixture of shacks, constructed from scrap metal, corrugated iron, wood, zinc, and plastic. This later saw a rise informal, partially planned housing as well as privately developed housing for low to middle-income residents. Orange Farm has a racial composition of mostly black Africans and Coloureds. In 1989, the area had a population that comprised 3000 inhabitants. its population growth is currently sitting at 4 % per annum with a household size of 4 people per house on average and its employment status is at 60 % with the rest of the demographics working in informal service and trade this is according to http://www.alhdc.org.za. Like any other township some residents if not all are under the impression that after the transitioning the government has forgotten about the poor communities and only come to address the people when they need masses to vote for them. Their grievances among others are that should they be evicted what will happen to the people who benefit from the businesses and employ. The removal of their businesses will automatically threaten the livelihood of the families in the area. The streets of Orange Farm are still unpaved, and people are reduced to walking on dusty pavements. 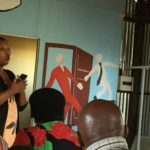 In order to fully understand their rights and engage better with issues of land, the Citizen Justice Network team recently visited Orange Farm human rights advice center to view a docu-movie on land and rights. The center is situated in Drieziek 1 the office is next to a crèche and when you enter you are met by the neatly packed recycling material. Orange Farm human rights advice center assists in ensuring access to information; referrals, legal advice and legal assistance on a wide range of issues concerning accessing of birth certificates and identification documents; accessing social grants; labour mediation; evictions; unemployment; domestic violence; child abuse and disability issues. They also provide assistance to refugees and asylum seekers. 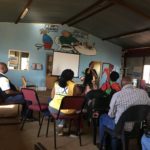 In addition, the center runs a daycare center called Itsoseng. 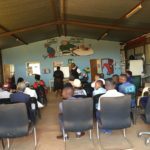 It was first established for the children of employees working at the advice centre but there was a greater demand that was necessitated that the greater Orange Farm community be accommodated. . The funds help both in the operation of the daycare center as well as the advice center. The Advice Centre also runs a recycling project which contributes to the funds needed to run the center. The project also alleviates pollution and empowers the community by teaching sustainable grassroots initiatives and alternative ways of making money whilst saving the environment. which illegally acquired rights to mine at Makhasaneni. 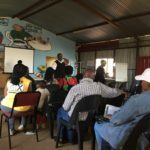 According to the community members, Jindal Africa had made their grandparents to sign documents; unbeknown to them they are giving them permission to mine. The grandparents were told they were signing title deeds, for the houses to be built for them by the mining company. Dissatisfied by the houses built by Jindal Africa due to the house not being in good living condition by exhibiting cracks within a year. The residents further complained they weren’t benefiting from the mine and that their forefathers’ graves were destroyed. Furthermore, the residents raised concerns about the mine using a lot of water which they believe they are using the water illegally and the toxins from the mine water are destroying their crops. One of the residents of Makhasaneni village, a grandparent with over 10 grandchildren noted that she is supporting her family with the money from the crops however since the mine resumed excavation the soil cannot produce food anymore. In the mini-documentary Mbhekiseni Mavuso (The activist who led the campaign in fighting through the court system to remove the mining company is quoted saying “Mining has never developed. If it is, then it is tsunami development because it comes with a lot of destruction. In fact, mining is a massive eviction project, not development,” he said. 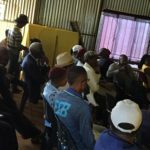 Some traditional leaders who had already received benefits from the project supported the mining application irrespective of the community disagreements. People who were against the mine operating were threatened, added Mavuso. After years of tirelessly fighting for the removal and stopping of operations by Jindal Africa The Makhasaneni community, and it’s Induna Dludla finally won the court long and strenuous court battle. In conclusion, the documentary is meant to give hope to those people who also have the same problems. This documentary is to show and give hope that if a forgotten rural area can win against such a huge multinational so can other people who have similar issues. 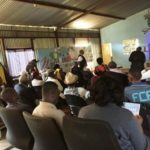 According to Gladys Mokolo, the Orange Farm case differs from the Makhasaneni issue as they don’t have ownership of the space that they are operating from and are being threatened by the government that their land will be auctioned off, the project coordinator of Itsoseng day-care center says, the issue of land ownership is the biggest challenge faced by the Orange Farm Community. 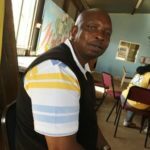 Bricks Mokolo facilitated the Film festival with the aim to develop a committee to advocate for the issue of title deeds and ownership of the land in Orange farm and through the screening, he managed to recruit members of the community to form a committee. The next step is to duplicate the film festival in the other four areas which are affected. 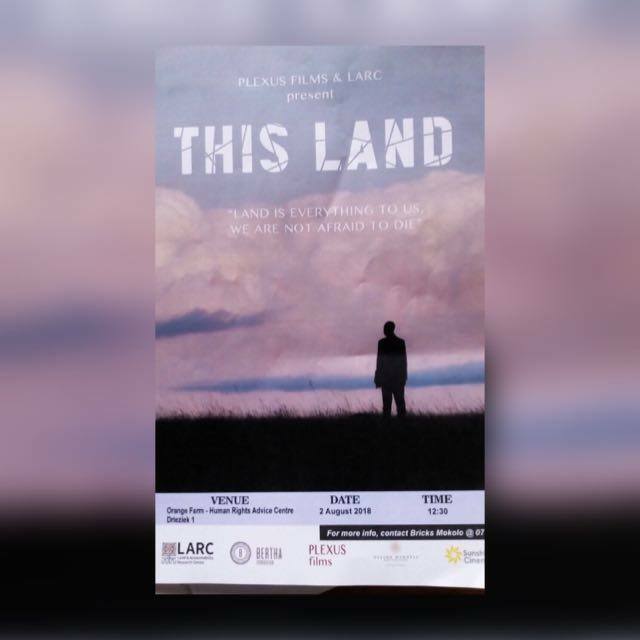 The film created a platform for conversations on land ownership to be facilitated and inspired activism in people. It further gave assurance to some that with unity they can conquer for their will shall be done.